*UPDATE* Please read the most recent update for the WIS 20/83 Reconstruction Project. Please note that traffic will shift within the downtown area of Waterford. 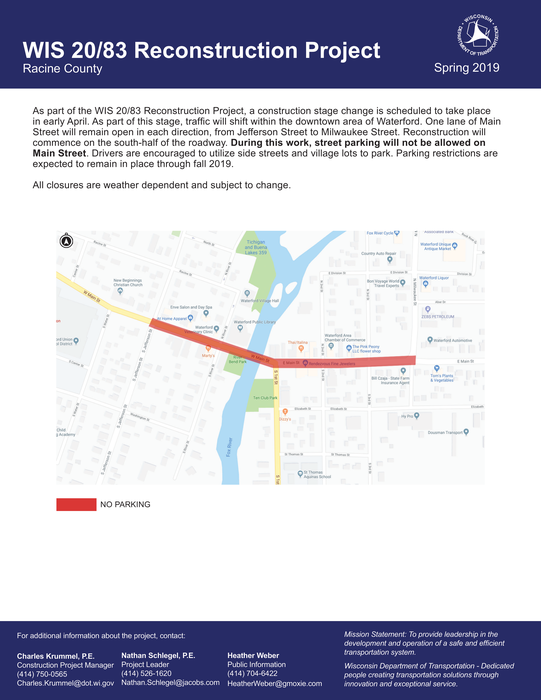 During this work, no street parking will be allowed on Main Street. For additional information please see that attached flyer for contact information. 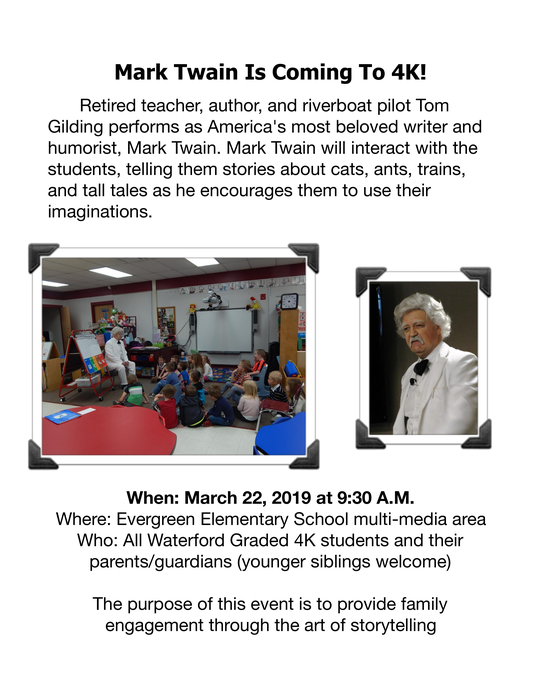 All of our WGSD 4K families are invited to the Mark Twain presentation on March 22nd at Evergreen Elementary. Please see attached flyer for further details. 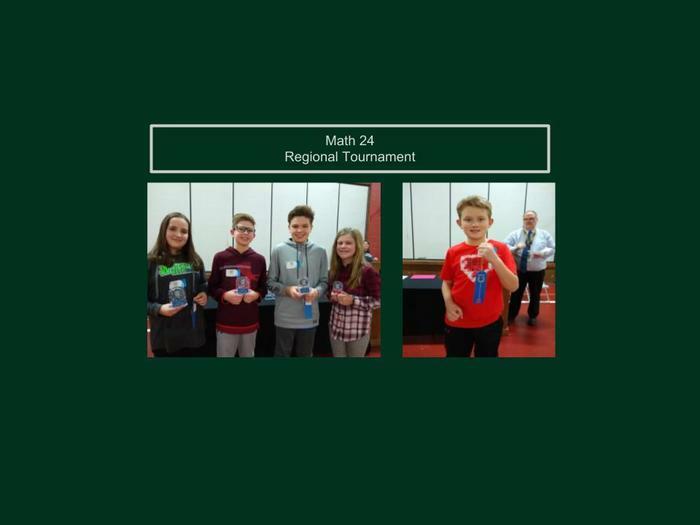 WGSD would like to congratulate our students that participated in the Math 24 Regional Tournament. The competition was tough, but our students demonstrated phenomenal perseverance and determination! 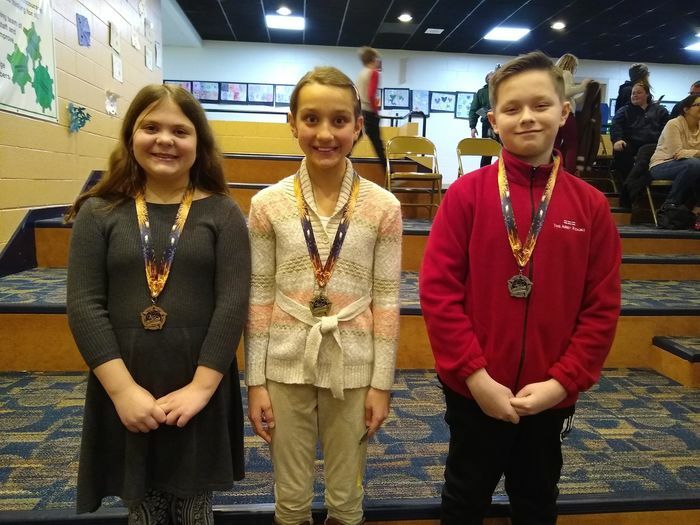 The following 6th grade students placed at this event: 1st Place -Sydney K., 2nd Place - Brolan F., 3rd Place - Gabe G. and 5th Place - Cailyn K. While 7th grade participants did not place, Elijah D. received an award for being the top finisher on the Fox River Team. The Waterford Graded School District would like to congratulate the 2018-19 District Spelling Bee winners. First Place: Rylie Second Place: Isaiah Third Place: Ella Thank you to all of the participants and their hard work, you were all AMAZING! Calendar Update: February 25 will now be a snow make-up day. All students should plan on attending as a regular school day. Congratulations to our Evergreen Spelling Bee finalists: Tyler - 1st Place, Sophia - 2nd Place, Maddox - 3rd Place and Owen - 4th Place. These students have qualified for the District Spelling. 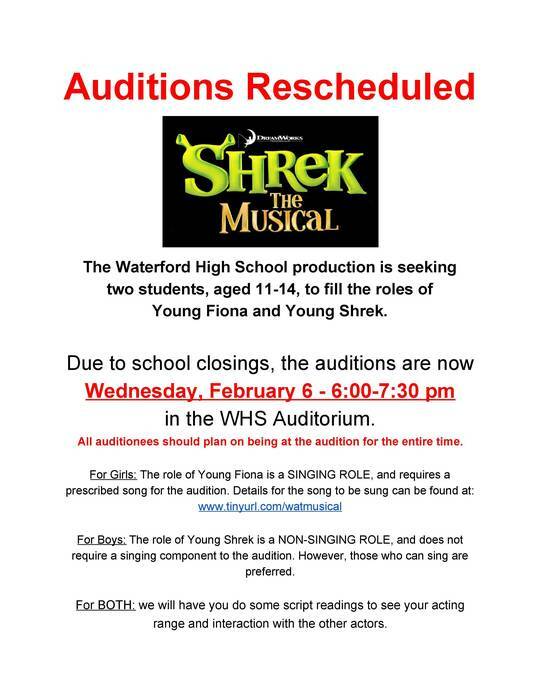 **AUDITIONS RESCHEDULED** Due to school closings, auditions for the roles of Young Fiona and Young Shrek in SHREK the Musical have been moved to Wednesday, February 6th. The time is 6-7:30 pm. Please see the flyer for additional details. School Closing Update: All Waterford Graded Schools will be closed tomorrow, Thursday January 31st. This includes any after school activities and before/after school care. Due to inclement weather, all Waterford Graded schools will be closed on Wednesday, January 30th. This includes before and after school care. Also, there will be no after school activities. Waterford Graded Schools will be closed on Monday, January 28, 2019 due to inclement weather. 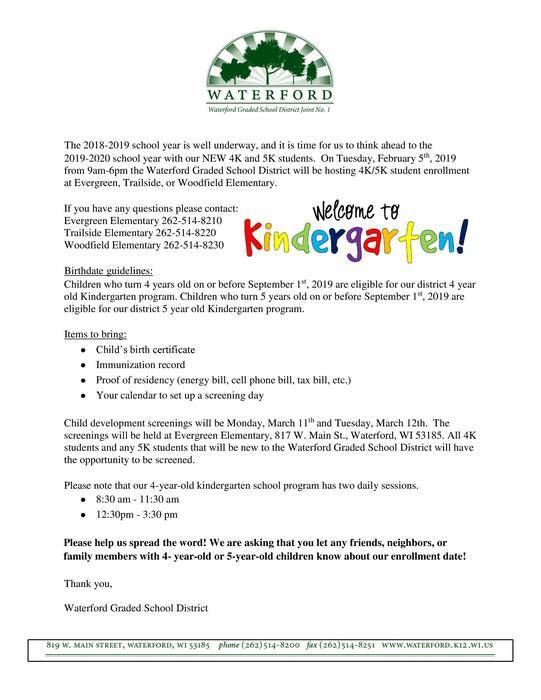 Before and after school care is closed at all Waterford Graded Schools as well. Waterford Graded Schools will be closed on Wednesday, January 23, 2019 due to inclement weather. Before and after school care is closed at all Waterford Graded Schools as well. 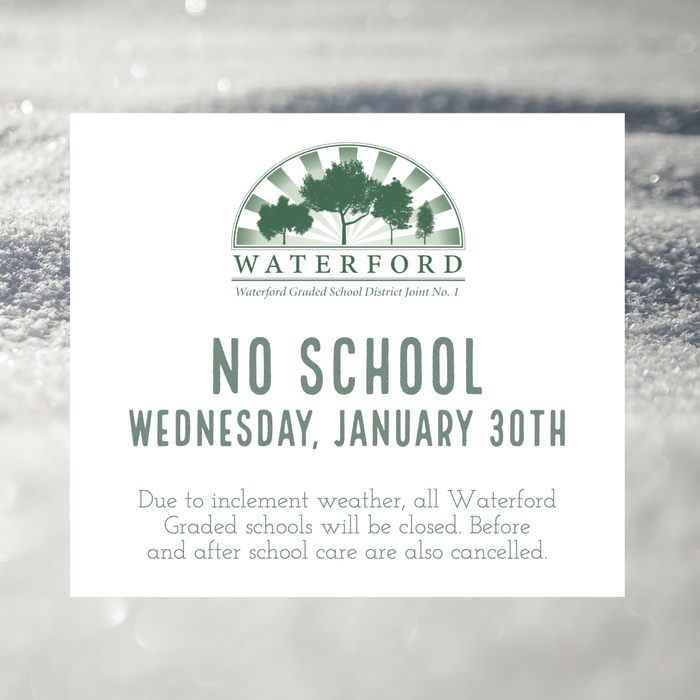 Due to inclement weather, all afternoon and evening activities are cancelled on January 22, 2019 for the Waterford Graded Schools. 4K/5K Student Enrollment will be held on Tuesday, February 5th from 9am-6pm at our elementary schools. Please read attached flyer for further details. All WGSD phone systems are now fully functional. TDS identified and repaired the issue. Thank you for your patience! ABC Countdown - "K" is for King Day! For those families that wish to order school supplies for the 2018-19 school year please visit School Pak at https://www.schoolpak.com/catalog/evergreen-elementary. Note: A correction to the Feb Lunch Menu. Feb.22 was marked as No School day on the Elem Lunch Menu. It's an Early Release.The Printable menus have been fixed on the website. Sorry for any confusion! 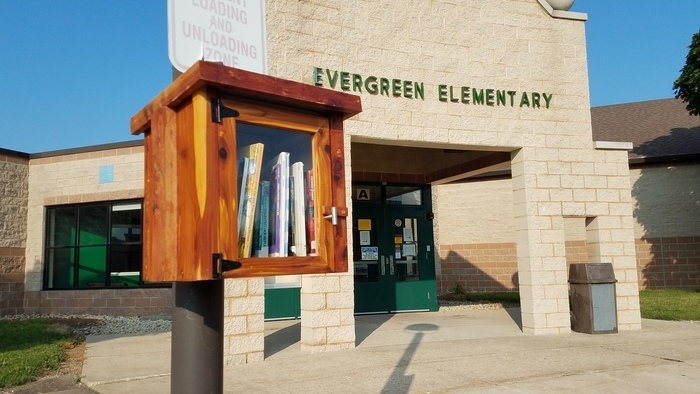 The first of four community listening sessions regarding the future of Fox River Middle School will be held tonight at 6:00 p.m. in the Evergreen gym. Just a reminder that on-line registration is ongoing. Please feel free to contact the school office if assistance is needed. 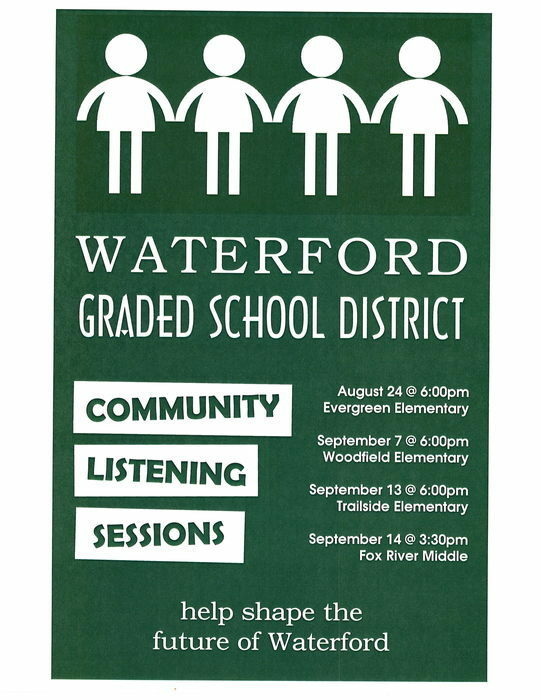 WGSD is hosting several community listening sessions in the coming weeks. The primary goal of these community listening sessions is to get feedback on options for changes to Fox River Middle School. 2017-2018 School Supply Lists are now posted on new district website. Look under News (on District page OR School pages) for printable lists. Monday, May 1 is a Teacher Inservice Day. There is No School for students. Thank you!